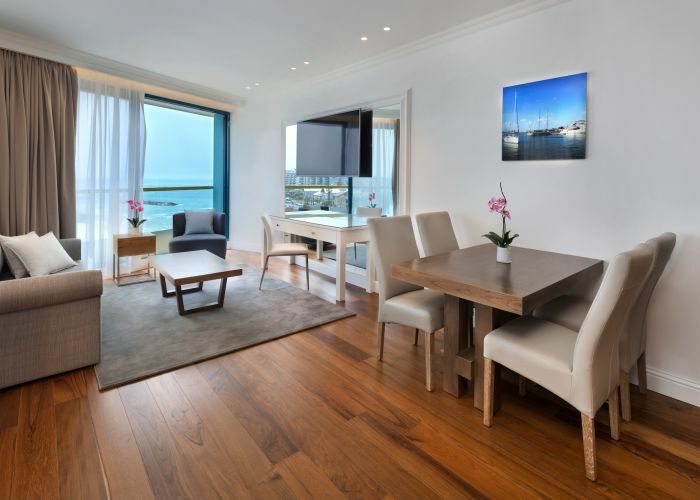 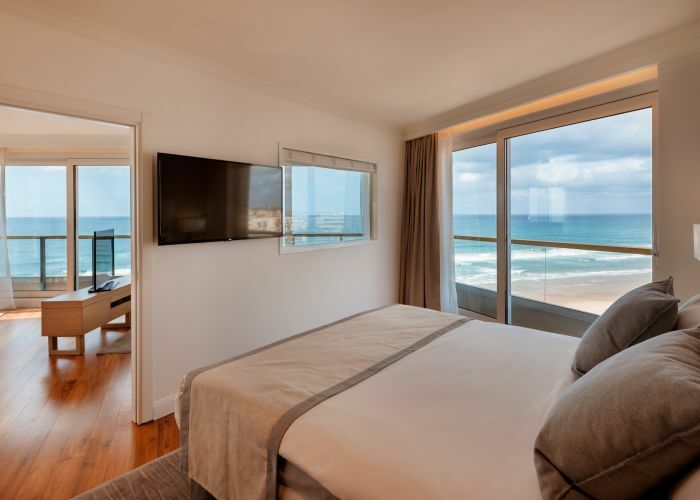 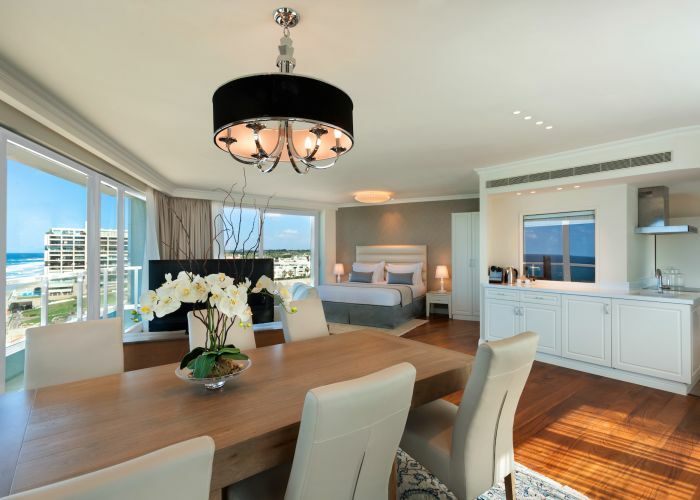 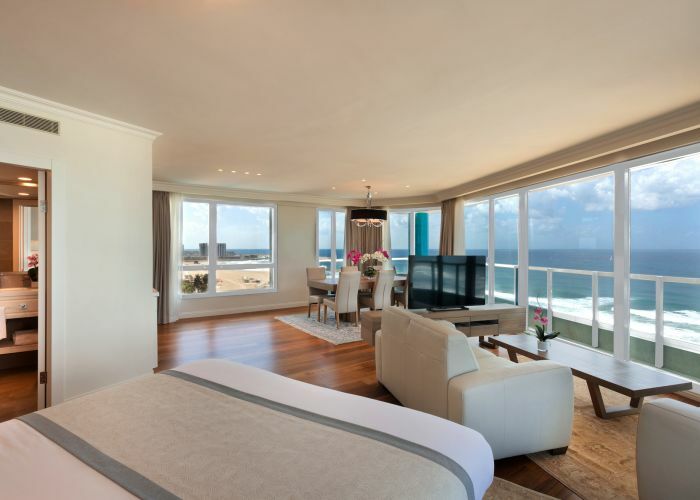 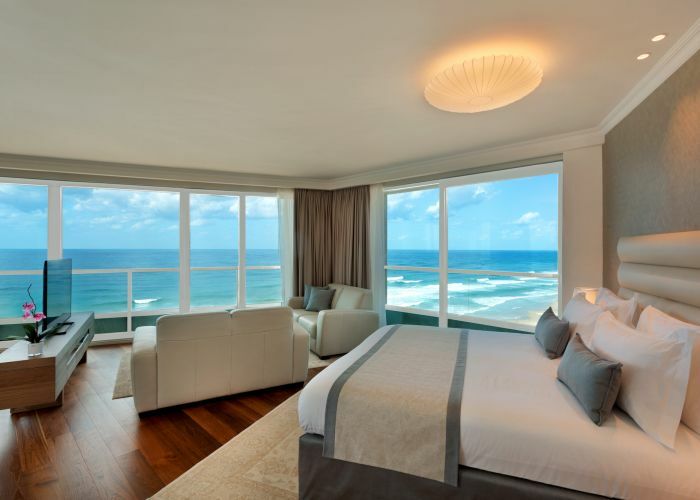 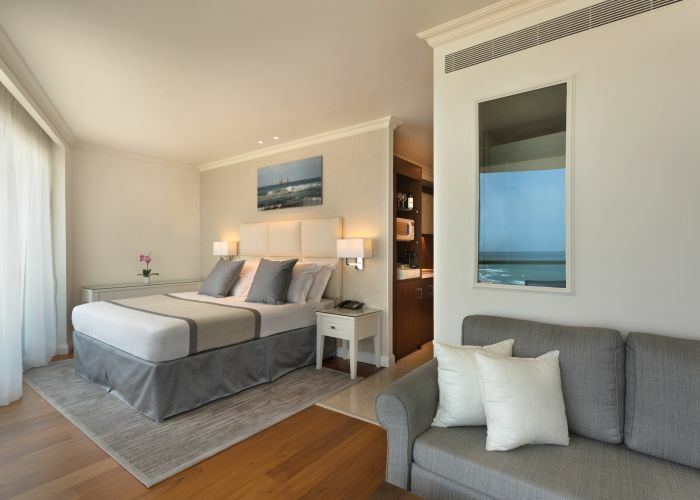 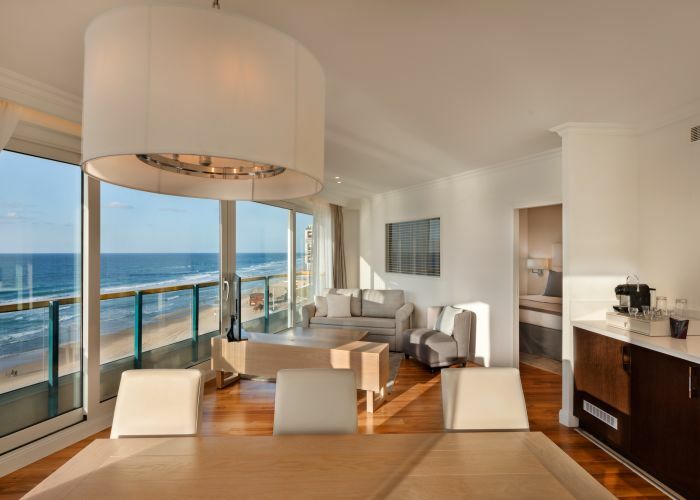 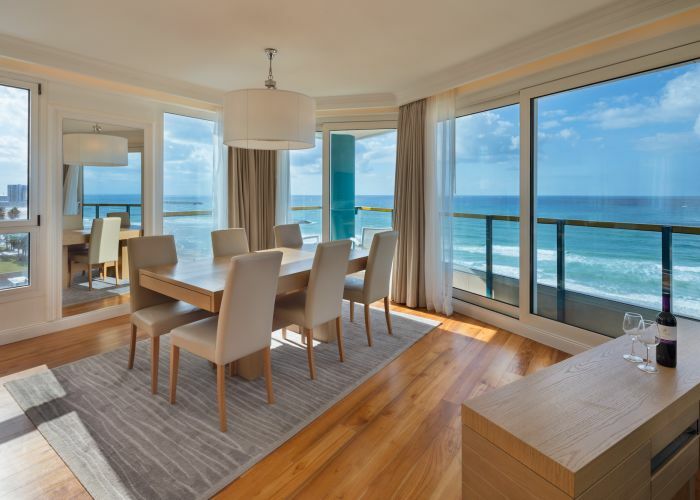 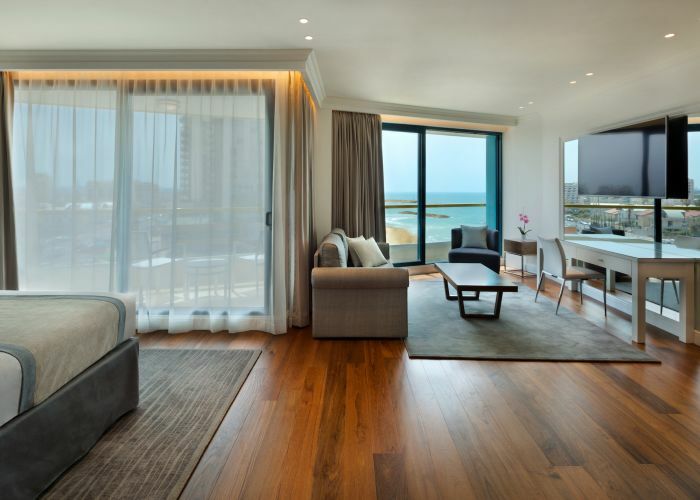 Each and every suite at Okeanos Suites Herzliya Boutique Hotel features a spacious living area with sweeping views of the Mediterranean Sea, while equipped with comfortable furnishings and technologies, such as LCD TV and wireless internet. 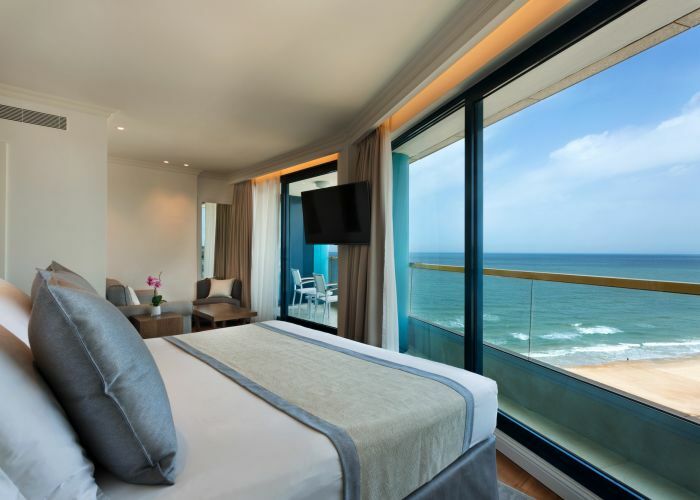 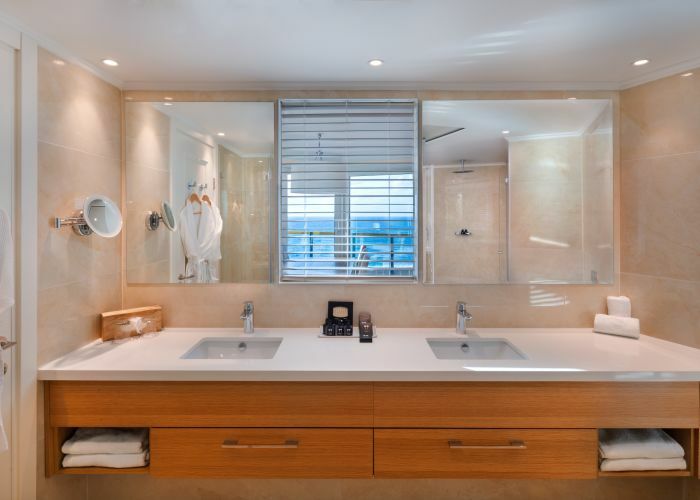 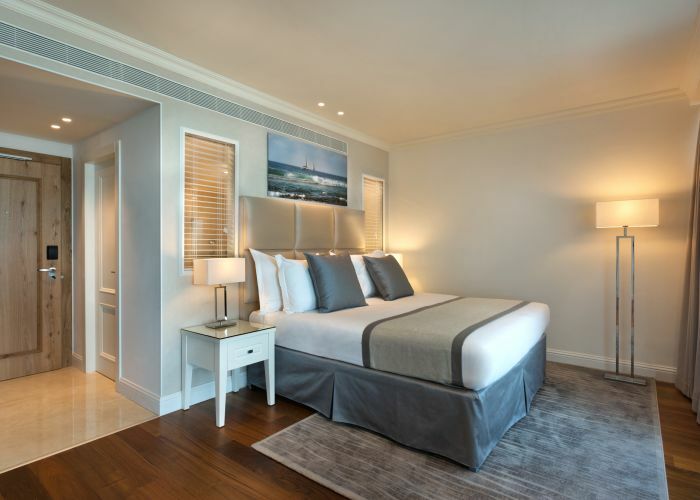 Experience the best of Herzliya in well-appointed accommodations that include an expansive bathroom, minibar, tea/coffee making facilities and ample storage space for clothes and luggage. 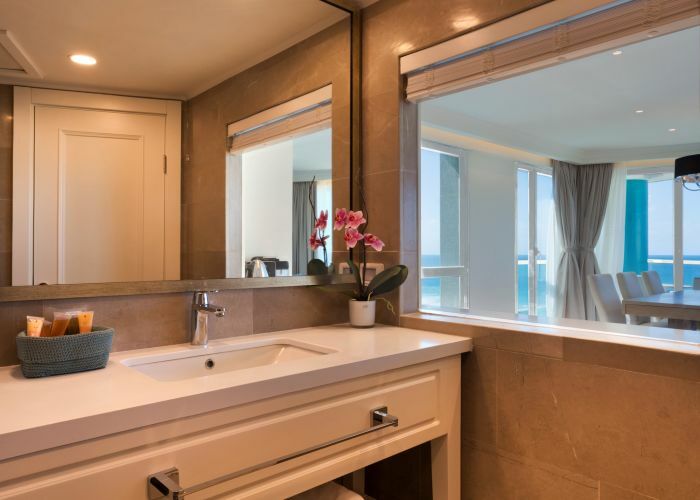 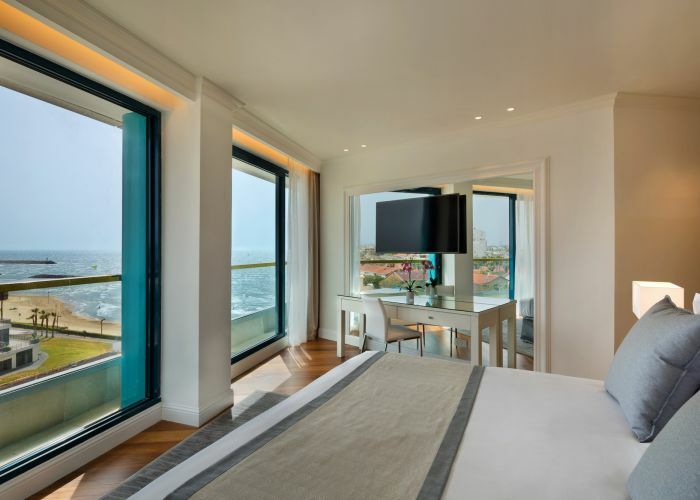 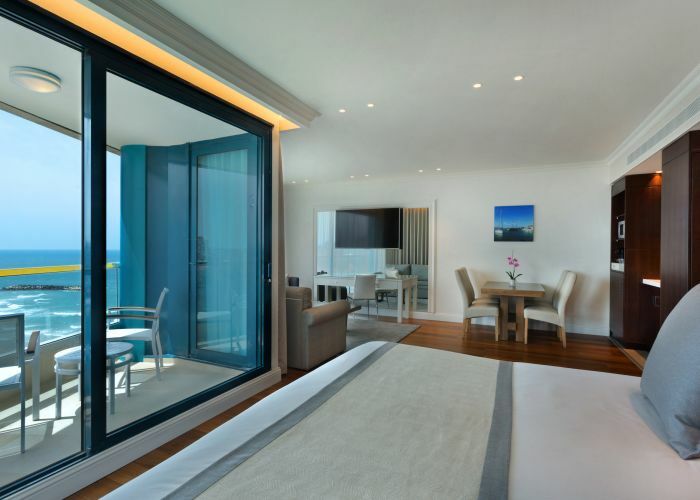 The Ocean Suite is about 70-square-meters (230-square-feet), and boasts 180-degree Mediterranean Sea views, a living room, large dining area, lavish bathroom with sea views and kitchenette. 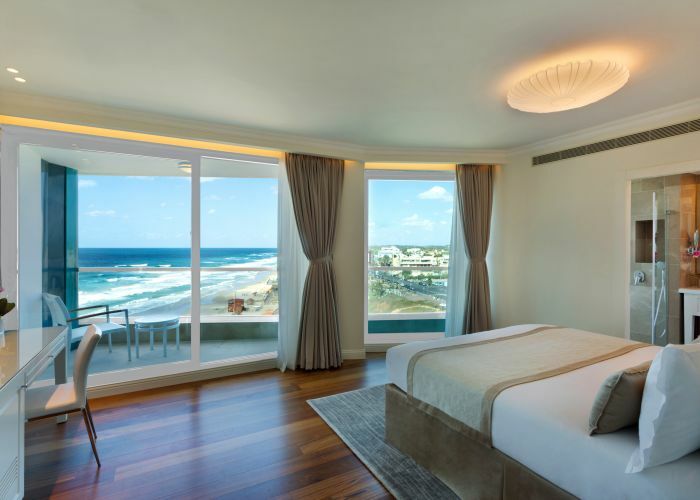 The suites bedroom is separated from the living room.